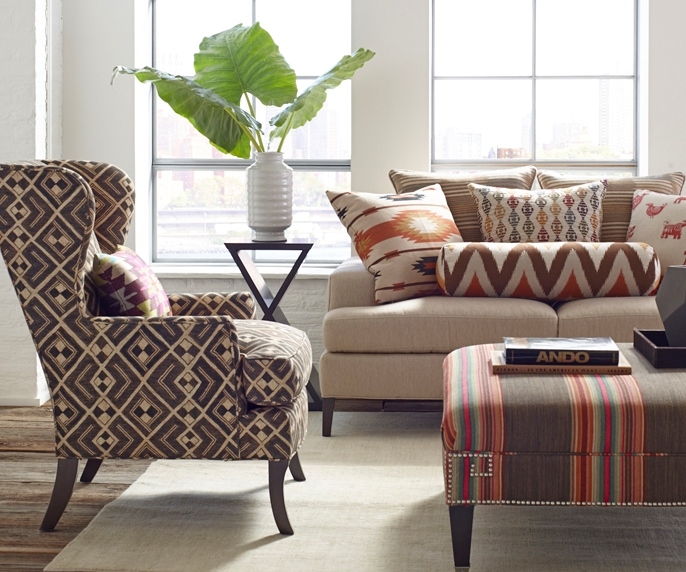 Kravet is pleased to announce its fifth collaboration with Museum of New Mexico. For this fabric collection, the Museum tells the story of its unique place as a crossroads of international trade and culture through fabrics inspired by the Museum’s renowned textile, basketry and ceramic collections. Inspiration for these modern interpretations of traditional designs was drawn primarily from small-scale patterns and embroideries in the 25,000-piece textile and dress collection at the Museum of International Folk Art. Iconic Native American textile and ceramic pieces from the Museum of Indian Arts & Culture also influenced many of the collection’s designs. These museums comprise two of the Museum of New Mexico’s four cultural institutions. 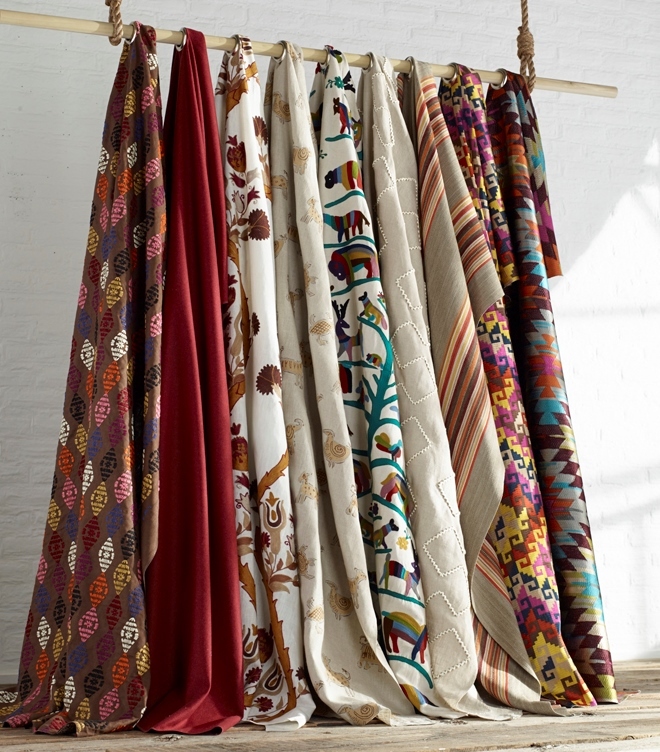 “In partnering with us and by choosing such a broad spectrum of Museum textiles for inspiration, Kravet too is saying, ‘The whole world is hometown’ and that there are no foreigners,” said Pamela Kelly, Vice President of Licensing and Brand Management for the Museum. Santa Fe has been an international hub of culture and commerce for centuries, as well as a creative haven for artists, writers, collectors and others drawn to the region’s bohemian lifestyle, spacious landscapes and rich cultural traditions. This eclectic ensemble of textiles embodies this creative approach to living – collected, worldly and modern. 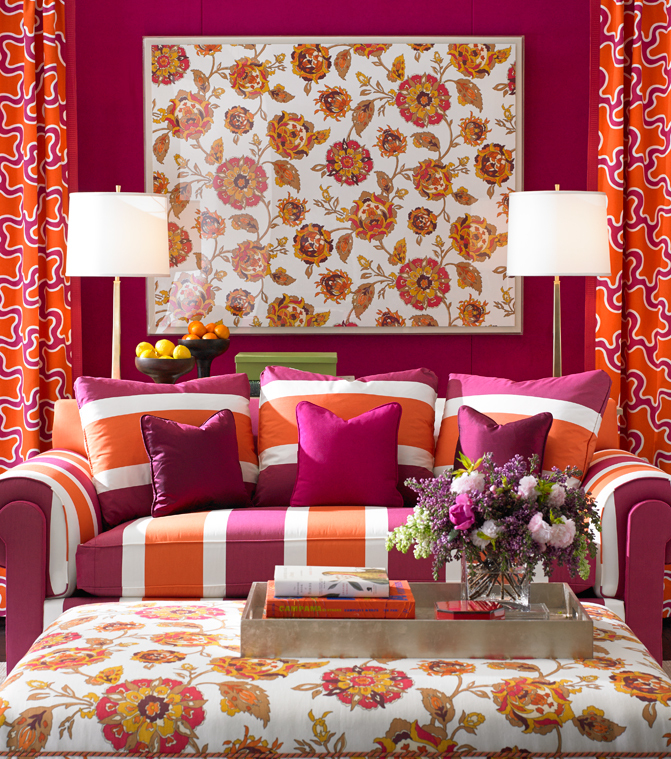 Kravet Presents: Pantone Color of the Year 2015 Fabric Collection. 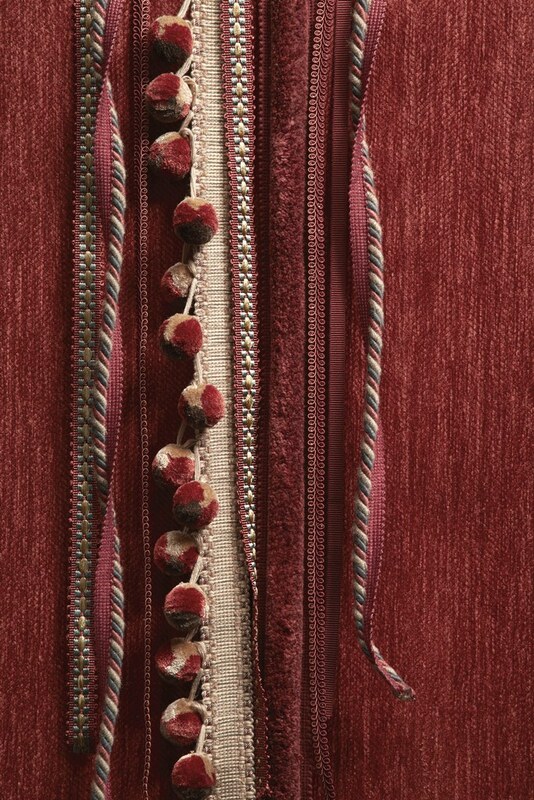 To coordinate with the announcement of the PANTONE Color the Year 2015, Kravet has introduced a capsule collection of perfectly paired fabrics in PANTONE 18-1438 Marsala. From wonderfully textured neutrals to vibrant patterns and prints, this collection offers immediate options for interior designers interested in incorporating the PANTONE Color of the Year 2015 fabrics into current and future design projects. According to Pantone, the impactful, full-bodied qualities of Marsala allow the color to be used alone as one grounded statement color or as a hearty accent to many other colors. 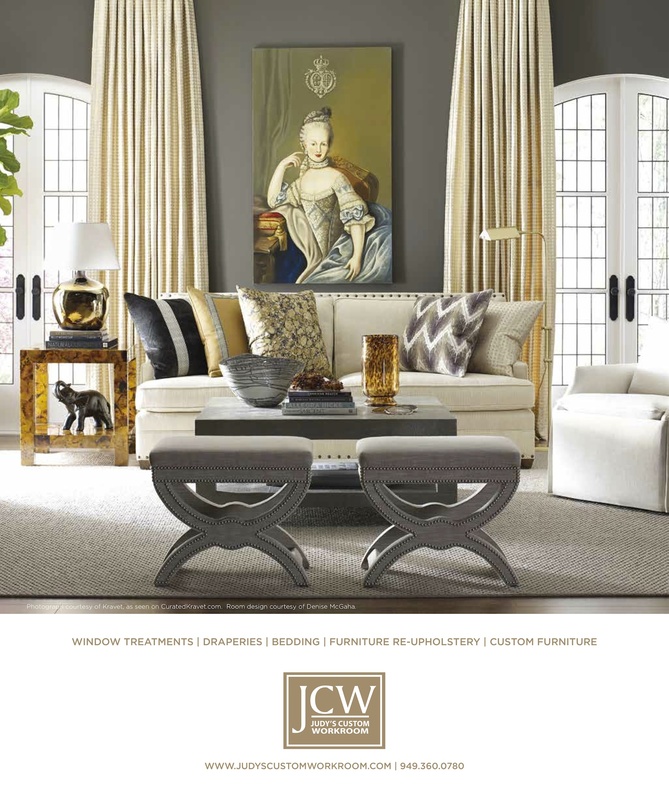 This highly varietal shade combines dramatically with neutrals including warmer taupes and grays. Browns are a natural fit with Marsala – from beige, terra cotta and camel to deep delicious chocolates. Because of its burnished undertones, sultry Marsala is highly compatible to amber, umber and golden yellows, greens in both turquoise and teal, and blues in the more vibrant range. 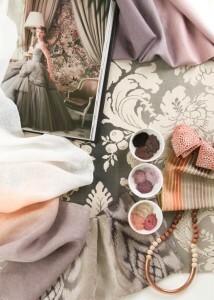 Marsala pairs exquisitely with monochromatic mixes of peachy pinks and sparkles against antiqued gold metallics. 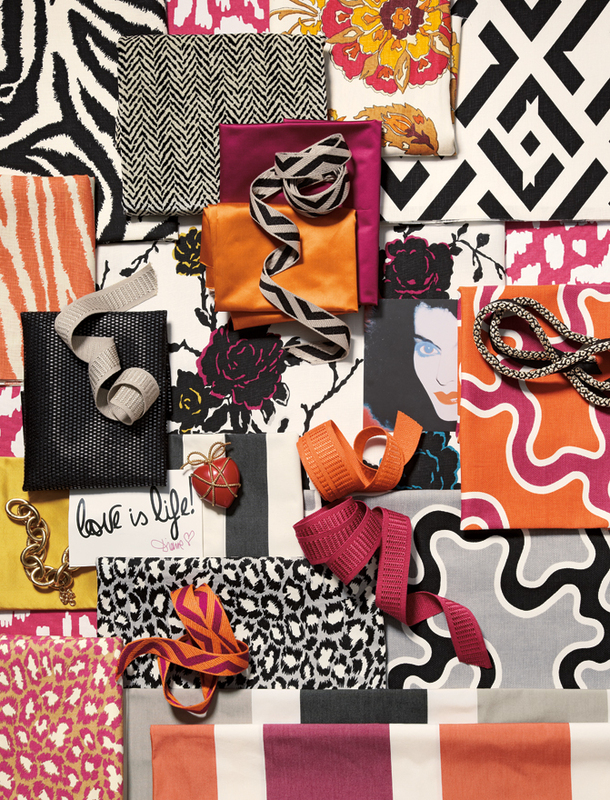 Kravet Teams Up with Diane von Furstenberg. 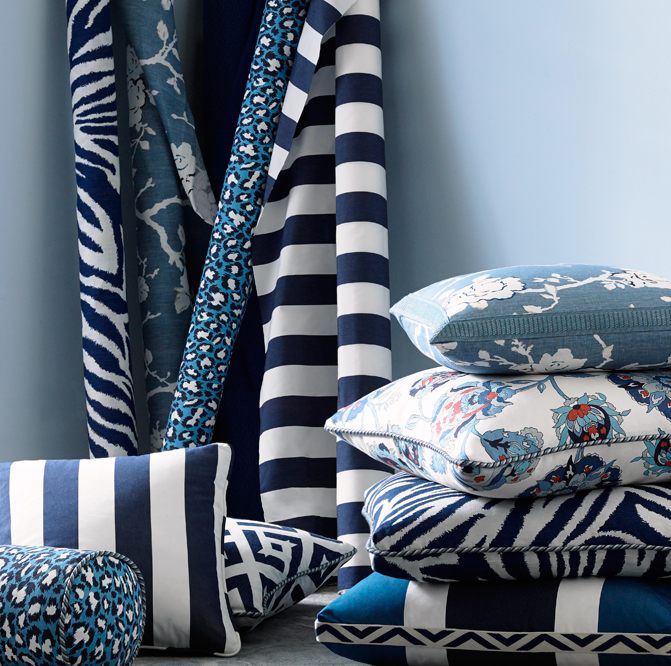 Kravet is proud to announce the launch of a new collection of home fabrics and trimmings from the legendary designer Diane von Furstenberg. 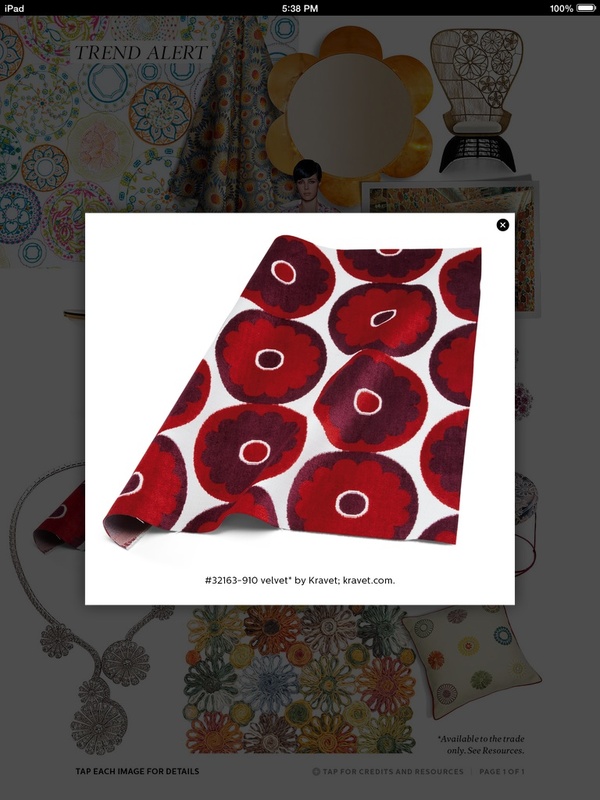 The line showcases her renowned aesthetic and sense of print and color, as seen in many of her iconic patterns. Von Furstenberg effortlessly brings high fashion into the home with prints, wovens and draperies and custom trimmings designed to accent the fabrics with an exotic edge. 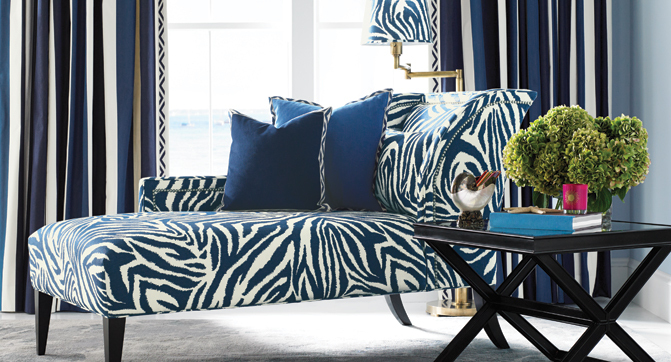 The collection has a strong foundation in black and white with pops of color, and incorporates the designer’s signature bold animal prints, such as Spotted Cat and Funky Zebra. 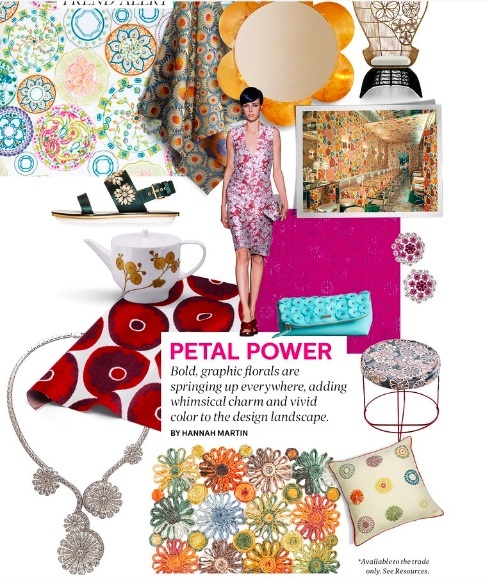 Geometric and abstract prints are also featured, for an eclectic blend designed to be mixed and matched. Color palettes range from berry and orange jewel tones inspired by the sunsets in Rajasthan, to azure blues that recall the Caribbean Sea, and desert-inspired neutrals in sand and stone. Von Furstenberg stepped into the world of fashion in 1972, and within two years created a name for herself after she introduced the wrap dress, which came to symbolize independence and empowerment for a generation of women. She had sold more than one million dresses by 1976, and was featured on the cover of Newsweek. Von Furstenberg re-launched the dress that started it all in 1997, connecting her with a new generation of women, and reestablishing her company as the global luxury lifestyle brand that it is today.